After more than two decades in the advertising industry, Kenneth turned his lifelong passion for bikes into a career. 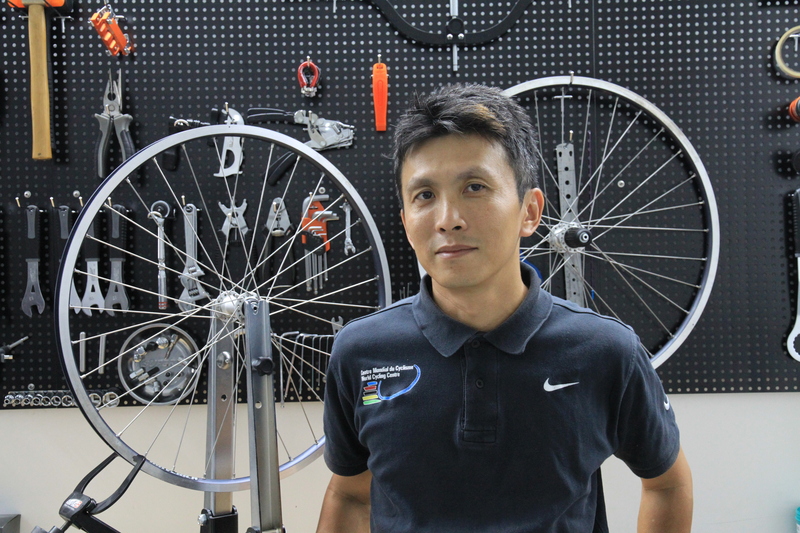 He set up Singapore’s first professional bike mechanic school (Bike School Asia), which offers workshops ranging from wheel building and suspension servicing, to a comprehensive hands-on course on all facets of bike repair and maintenance. 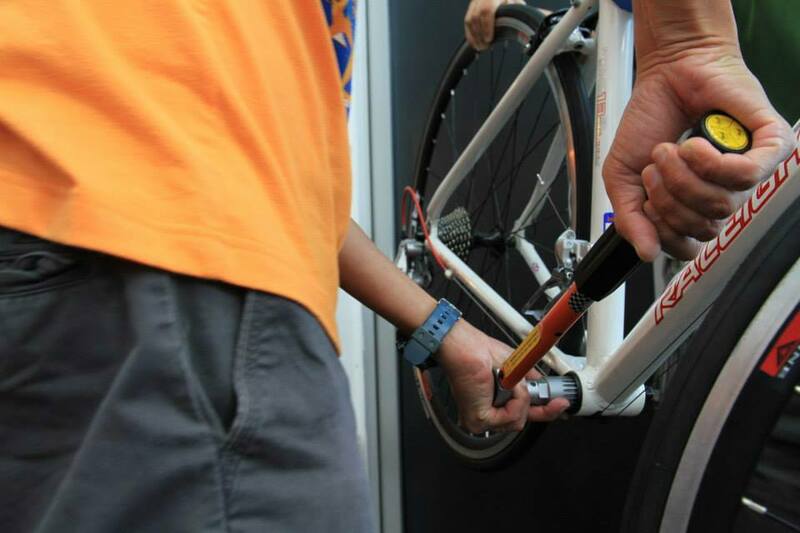 He also runs the only cycling instruction school (Singapore Bike School) which caters to all ages and levels: from beginners, to BMX, and even Mountain biking. We particularly love that Kenneth has catered for the ladies with an all-female bike maintenance workshop, aptly called Taming of the Screw. Interested to find out more? We’ll let Kenneth do the talking and tell you more about his two-wheeled journey. 1) Hello Kenneth! Tell us about yourself and your story behind making a mid-career switch. I’m Kenneth Wee, and I am 45. I started Singapore Bike School in 2009 and Bike School Asia in 2011, partly out of passion and mostly out of necessity. My first job out of national service was as an art director with a regional advertising agency, and I stayed in the advertising industry for about 26 years. I was fortunate to have several great clients I enjoyed working with, and life was hectic but comfortable. Running my own studio allowed me to indulge in several hobbies. One such hobby was collecting and restoring vintage (old) BMX bicycles. These were bicycles that I either had or dreamt about when I was a teenager. Now my brother and I were no slouches back in the day. We did tricks, we raced and could easily jump our bikes over dustbins and other urban obstacles. One day, we decided it was a waste to simply keep these bikes on a shelf — we should ride them, and jump over stuff again! We are stronger now than we were as kids, so how hard could it be? We couldn’t be more wrong. After peeling ourselves and our pride off the pavement, I started researching proper techniques and training methods, eventually getting trained and certified as a BMX Coach by Cycling Australia. 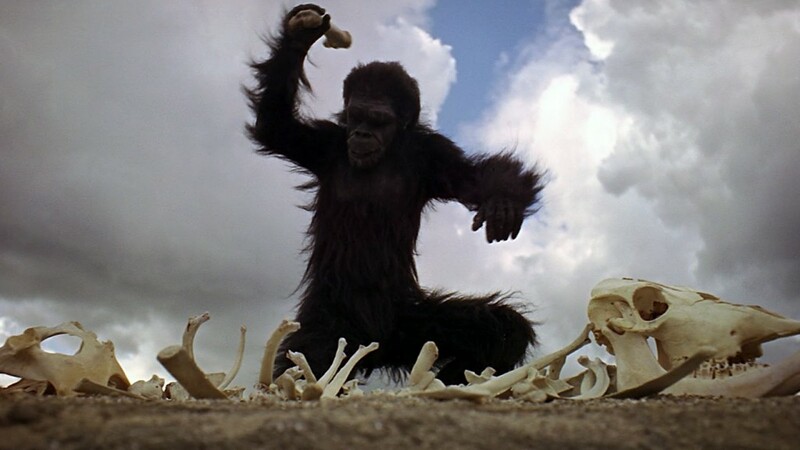 Back then, there was no similar qualifications available locally. About a year later, I had the opportunity to study for a Coaching Diploma at the Union Cycliste Internationale in Aigle, Switzerland (UCI is the world governing body for sports cycling and oversees international competitive cycling events). As fate would have it, upon my return from Switzerland, our main corporate client had a run of bad luck which stalled all projects, and work became scarce. Already increasingly dissatisfied with the ephemeral nature and mercantilism of advertising, I dreaded having to pitch for new business. Then, like a ray of light, my wife pointed out that going to the studio made me miserable, but coaching, in contrast, made me happy. It was something I did well and enjoyed. If I could find a way to turn my hobby into a career, perhaps I might find my purpose in life, or at least have a shot at finding a more fulfilling job. I closed the studio in December 2010 and bid adieu to staff, clients and the sleep-deprived lifestyle I had grown accustomed to for 20+ years. 2) Have you always been interested in bikes? Is there a story behind the first time you actually fixed a bike on your own? I like all types of bikes. I count myself fortunate to be from the generation that saw the rise of both BMX and mountain biking. This gives me a deep appreciation for the evolution of both sports — the skills and the technology. I got my first real BMX bike when I was 14. My brother and I hung out with other BMXers, most of whom were older and more streetwise. Once we overheard a conversation about this bike shop in Jalan Kayu that sold a certain brake set for $5 cheaper. I remember cycling from Marine Parade to Jalan Kayu only to find that the shop was closed. This was before GPS and Google Maps, so its amazing we didn’t get royally lost. All the while, my mom thought we were at East Coast Park! Bikes represent independence. One of the things I remind parents of young Learn to Ride students is that the bicycle is not a toy, but the first vehicle their child drives on their own. Hence the importance of being aware of, and following, a new set of safety rules and responsibilities. 3) You now offer both riding and bike mechanic courses. Why did you set up Bike School Asia? When I coached our national BMX team, one of the things we emphasized was that the athletes were ultimately responsible for the proper maintenance and performance of their own bikes. So we taught them to do simple repairs, maintenance and upgrades. In my mind, there is no way to become a complete, skillful cyclist without knowing the nitty-gritty of your bike. 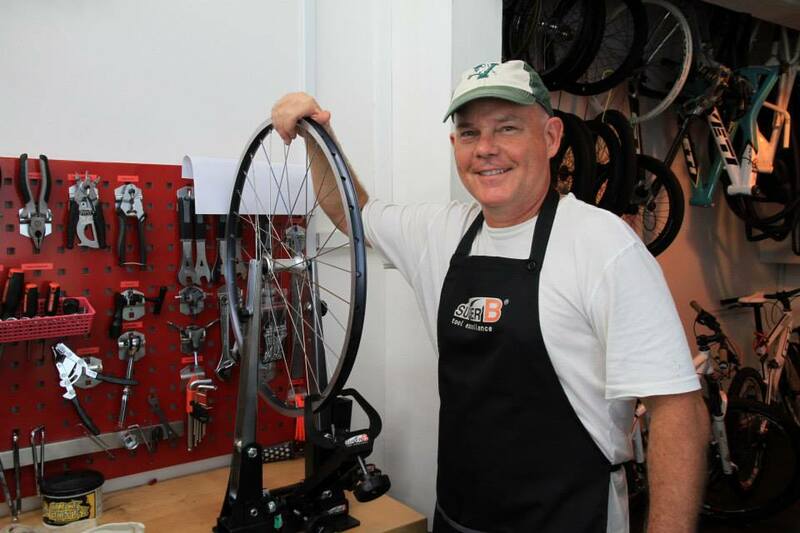 I set up BSA because teaching mechanics was something I looked forward to, I knew I could do reasonably well, and I hoped would fill a niche that will keep growing as long as more people are cycling. There wasn’t any school of this nature in Asia, where most shop mechanics are trained by a senior mechanic. I believed there was a need and opportunity to professionalize and clean-up the perception of bicycle repair as a dirty, greasy job. I also hoped to bridge a gap between shops that require trained mechanics and those seeking employment in such shops. To that, I am very proud that quite a number of our graduates have started their own shops or are happily working in shops (and the shops are very pleased with them)! 4) How many students have you had since you started BSA, and where are they from? We’ve had hundreds of students. Mostly local, although we’ve had students from as far away as Brazil. It is always exciting when we get an overseas student because the perspective and culture they bring makes for interesting class dynamics. 5) Do your students pick up bike mechanic skills as a hobby, or to pursue it as a career where they are based? The students for our Basic Maintenance & Repair course tend to be recreational cyclists who want to know more about their bikes in order to feel more empowered when something goes wonky. Our Professional Bike Mechanic students range from serious enthusiasts to those looking for a career change, either to work in or start a bicycle-related business. One of our recent Pro class students from India is just about to launch his new bike shop in Mumbai. 6) You have a class specially catered to the ladies. How did this come about, and how has the reception been? I’ve met women who don’t ride anymore because they had a flat and were too afraid to take it to a shop and get it fixed. Most bike shops are still male-dominated and some women just don’t feel comfortable talking shop for fear of sounding ignorant. I set up BSA to be a friendly, bright, clean space where everyone can come to get educated about their bikes. Taming of the Screw focuses on Pre-, During- and Post-ride topics — bike set-up, trail-side repairs, washing up — and additionally, addresses issues pertaining to women-specific-designed frames, saddles and accessories, and why and how they’re different from generic offerings. The classes are led by a female cyclist and trainer, so it is completely testosterone-free! Ladies-only classes tend to be very lively! 7) For people who are thinking of making a mid-career switch, what advice would you have for them? Know where you’re heading, keep pedaling and don’t look back. Don’t waste time and emotional energy comparing the past and present. Don’t compare what your friends have and what you’ve had to give up. You’re on a different path and as long as the path you’ve chosen leads you to a happier, healthier place, keep going! For me, this meant un-friending all my advertising industry friends and acquaintances on Facebook. Know where to get neutral support. In cycling races, we have what we call ‘neutral support’ — mechanics who provide technical help to both pros and amateurs alike regardless of rank or sponsors. Change is hard. Things will get messy before you find your level. There will be external voices of doubt and self-doubt.The support and encouragement from my wife and kids kept me focused on the things that mattered. Un-friend naysayers. 8) Any other interesting stories you would like to share, either from your personal journey or about BSA? Sometimes the bad things in our life happen to put us on the path to the best things in our lives. Even though I disliked the work, closing my studio was a huge downer for me. In the early days of SBS and BSA, I was constantly worried about finances, depressed by what felt like a ‘demotion’ to a ‘blue-collar’ job. Several times, I would send out a flurry of resumes to advertising jobs because I was convinced that I had to ‘get a proper job’ to pay the bills even though the bills were paid on time each month and I wasn’t exactly a living the life of a pauper — it just felt that way. I even felt guilty and conflicted because I enjoyed coaching and teaching — and it felt like goofing off when I should be working hard! One of the aspects I do particularly enjoy is the interaction with students. From day one, I’ve had nothing but support and kind words from students. Some have unknowingly ministered to me by sharing their personal stories and challenges. Many have commented that I am living the dream, so to speak. 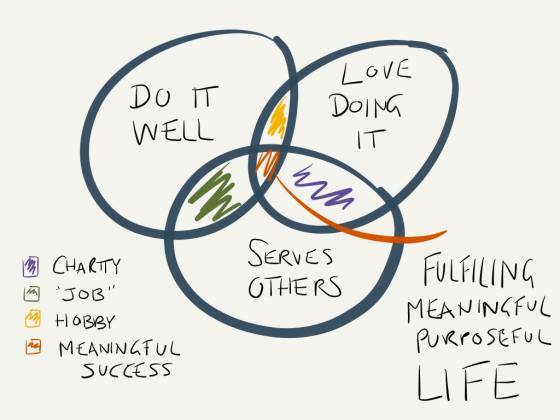 Just last week, someone said I must be happy to have found my purpose in life (according to this venn diagram below). 9) What are your top five tips for biking enthusiasts on taking care of their bikes? Stop paying someone to turn a tiny wrench. Adjust your brakes, silence a squeak, replace a punctured tube… there are many things that you can tune and fix yourself. Learn how. Don’t be a hero. Whether it’s due to lack of knowledge or experience, or not having the proper tools, you are not capable­ of every repair. Sometimes you have to take your problem to a professional mechanic. It’s always easier to do a job with the right tools. A bike repair stand makes a lot of difference. How tight is tight enough? You’ll never know without a torque wrench. It’s the only way to properly tighten bolts. When disassembling something complex, take pictures using your smartphone and keep track of the order in which you remove parts. It takes the mystery out of putting it back together.